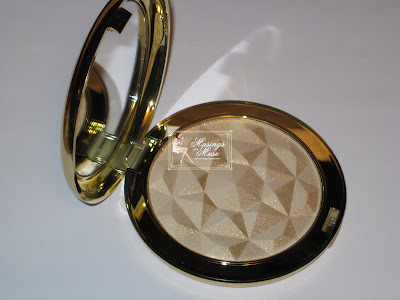 Gimme, Gimme, Gimme More Estee Lauder Shimmering Jewel Powder baby! 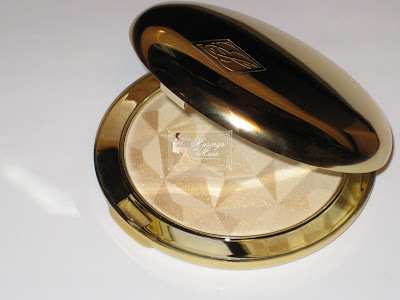 The Muse stands behind the right to say that one can never have too many gold powders and in the case of Estee Lauder’s Shimmering Jewel Powder that rule becomes law! Have you seen this powder yet? If not you should be running over to your nearest Estee Lauder counter for a peek because it’s sincerely gorgeoussssssssss! Plus it’s affordable gold powder too! Even better! One of the main attractions of the powder is of course how beautiful it is but honestly, most important right now with the economy in such a slump, the price is pretty darn appealing as well at $32 USD for a huge compact of shimmering, sparkling, twinkling gold powder for your face, cheeks, and body! Divine! 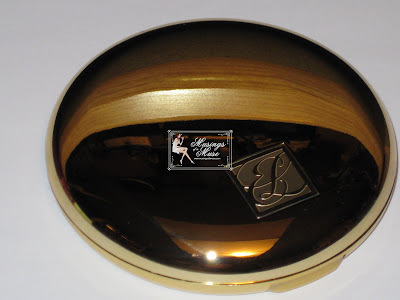 The powder comes housed in a large golden compact which is about a third or so larger than a normal size powder compact, I think the size is what attracted me to it to begin with as seriously where can you get such a beautiful sized compact for this kind of price? 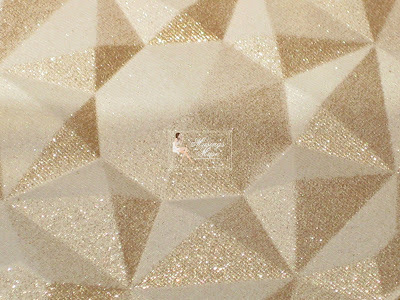 Inside you’ll find silky, beautiful, luxurious shimmering gold powder that you can use on your face, cheeks, or body! 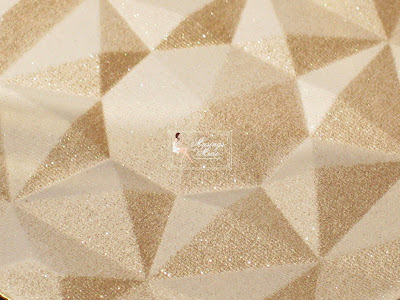 Although the powder looks like it’s shimmer overload it’s actually quite buildable so you can do a very light dusting of gold or you can get crazy and cover yourself in shimmering gold from face to foot! The Muse prefers the head to toe option herself! 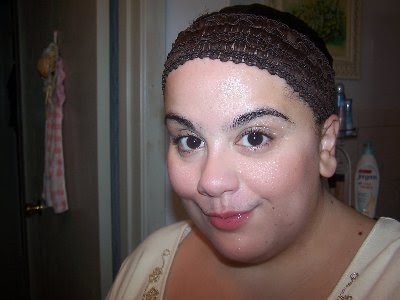 Once I applied it on my face I thought the finish was very subtle and lovely. It casts a nice shimmer across my cheeks and face creating a twinkling gold effect. The powder actually has a dual layer as it contains a nice spray of shimmer across the top but once that’s swiped away you’re presented with a second layer which is much less shimmery. Here’s a simple look I did using the powder! 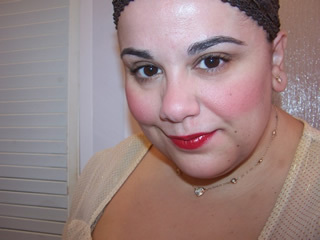 I kept my blush very light and natural so that the powder could really show through! 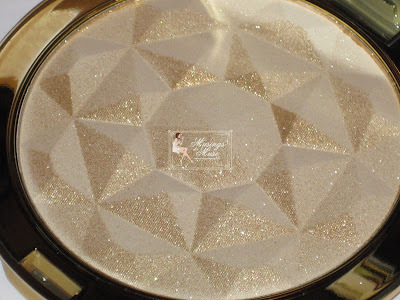 If you’re a big lover of shimmering powders you’re going to want this one! It’s truly a stunning piece and the Muse happily approves it for purchase! 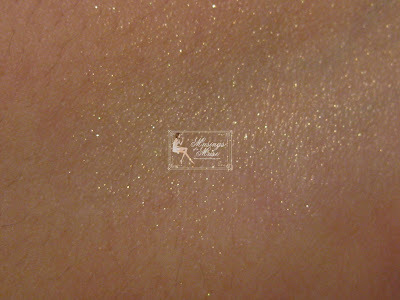 With it’s inexpensive price tag and it’s gorgeous shimmer who could resist Estee Lauder Shimmering Jewel Powder? Not the Muse that’s for sure! Loves it! 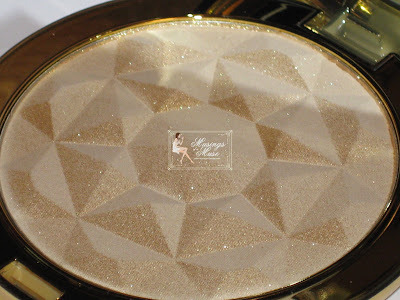 The perfect shimmering powder to keep you all bling’ed out the entire Holiday Season! Kayvid: Oh No! Does it mean the gold shimmer is only overspray? After 1st bruch the shimmer will be gone? Don’t worry it’s got PLENTY of yummie gold shimmer hehe! Would you compare this to Diors night diamond powder? Which do you prefer? 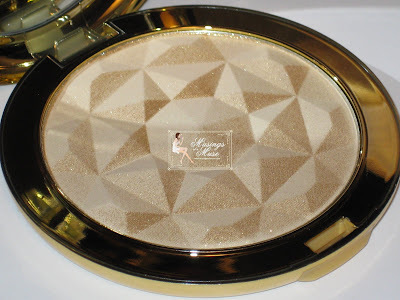 i have really been lemming this powder and now i fear i wont be able to sleep at night lol.. i will think about this until i make it MINE.. between this, the guerlain poudre d’orient bronzer, and the BB copper shimmerbrick my head is spinning..
oh sweet muse why must you do this to me? lol seriously though… that stuff looks gorgeous.. i will definitely go check it out in person..
btw, i cant wait for your bobbi brown glitter lip balm review.. those look very interesting..
have a safe and awesome weekend muse! I love your blog,the best of the best! I live in Mexico and fortunately we`re able to find most of the products you kindly review here. 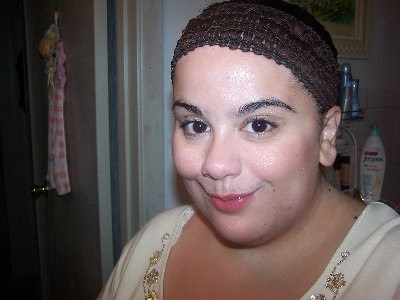 I`ve got 2 questions because I`m not very good at using some of the products. How do you aplly this and the Copper Brick from Bobbi Brown? Oooh, so pretty! I ordered this a couple weeks ago from nordstrom.com and I am still waiting for it to get here to Kuwait… Now upon seeing your review I am really happy I did! I really wanted the Chanel hoiday gold powder, but for the price this seemed like a much better deal for me… I can’t wait to get it! Hi Muse! Longtime no speak! 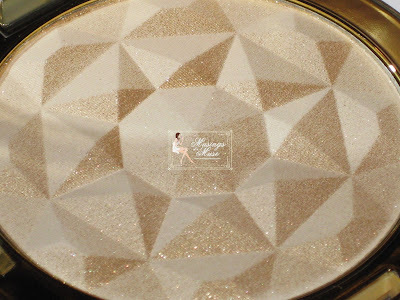 I had a question for you–as far as effect and luminescent gold shimmer, which is better: the Bobbi Brown Shimmer Brick in Copper Diamond, or this Estee Lauder Shimmering Jewel Powder? Thanks! 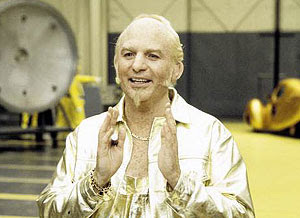 I like gold!! I doooooooo and this look yummy!! I really can’t compared the two as they are really vastly different products. The Dior is a subtle shimmer where as the Estee Lauder has more of a high shimmer/glitter effect. Also Dior is a complete different color a it’s a beige creamy shade and this is a solid gold. It really depends on what sort of effect you’re looking for. Read my review on the Dior and then this one..maybe it’ll help you decide which is right for you! Oooo I’ll have that live for you soon! It’s quite interesting! Thank you very very very much! Mexico? Fantastic I believe you’re the first reader that has commented from Mexico! Ahh…the shimmer brick is easy..I just smile and apply to the apple of my cheeks but..as you can see..I have alot of face to work with hehe…My face is very full so it’s easy to get away with just grinning and applying. if your face is slimmer you may want to gently glide your brush on an angle from your nose and sweet upwards following the natural curve of your cheek bone. I find, for the most part, it simply works best by smiling really hard and just brushing on the apples of my cheeks 🙂 you can apply on your forehead as well and chin but I avoid those areas as it’s a bit overkill! It’s really not comparable to Dior at all as they are very different products..color, texture, finish, etc..
As for the size, texture, etc..I think I covered that all in my review here..I even compared the compact to a normal size compact..unsure if you read the review yet or not. I’m unsure if you’d want to travel with this as the palette is huge….plus it lasts pretty much all day so no reason for tons of touch up. usefulness? Ummm I’m unsure how to answer that one..if you like shimmering powders you’ll love this and that’s pretty much as useful as it gets I suppose? If you’re wanting nice shimmer on your face..
Good to see you! Happy Monday! Oh wow! I’m so excited for you, you’re going o love it! I’ll be reviewing the Chanel soon actually…and yes this is a far better deal 🙂 It’s $32 USD you can’t go wrong! It’s hard to say really…they are pretty different powders. The Shimmer Brick gives a warmer look where as the Estee Lauder gives more of a sparkling look. If you’re looking for more of a luminance look the BB creates that. Hey Muse, thanks for that. I think estee lauder’s gold compact def is heavier. I know the dior one is 0.30 oz, but I can’t find how much does the EL weigh or are my eyes really need to focus? no prob. the Dior is actually heavier as they are made out of different products. As far as weight goes Dior is the heavier of the to as the compact is made out of a heavy metal material and the Estee Lauder seems to be made out of a lighter material. In terms of product weight .70 oz/20g for the Estee Lauder powder..and yes the Dior is 0.30oz. fantastic jonnie 🙂 I’m so glad you nabbed this! Maybe you’ll do a guest fotd for us! This is so nice Wow!! I’m wondering why I haven’t noticed it yet. Gold isn’t my color for the face except around eyes. But I’d love to use it around my neck and shoulder. You sure can use it on your neck and shoulders 🙂 or even your eyes if you want! 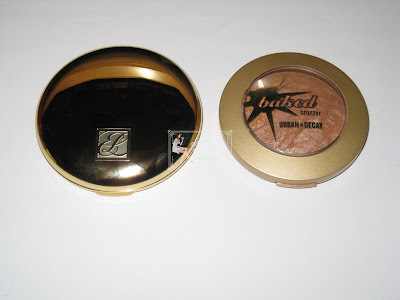 The compact is huge so it makes an ideal body powder! Isn’t it SOOOOOOOO very similar to their “Platinum” face powder??? Maybe 3 or 4 years back, and yes, even when it’s called “Platinum”, the sparkle and shimmer ir golden. true Leila! 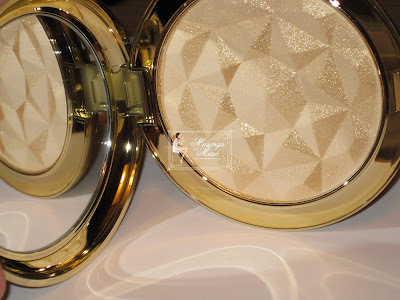 I think EL comes out with a shimmer compact almost every year that are always similar in feel!